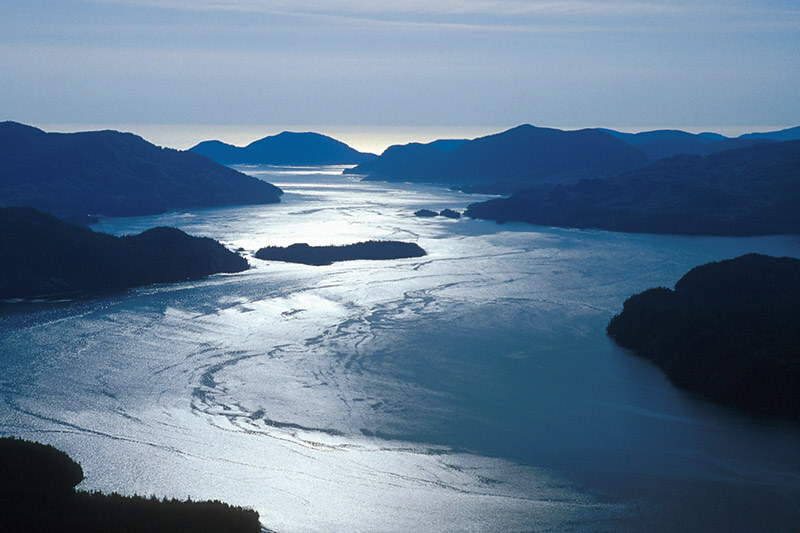 Quatsino Sound is a huge sound on the west coast of Vancouver Island. Quatsino Sound leads in from the Pacific Ocean, almost separating the northern tip of the island from the rest of Vancouver Island. Some of this landscape’s mysteries lie tucked away inside the vaulted domes of underground caverns. Most of the 1,050 known caves on Vancouver Island are found in the Quatsino Formation limestone deposits. Afloat in a sea kayak on an open sound, or deep inside the Quatsino cave system, be prepared to experience a blend of connectedness and jubilation, isolation and terror, when adventuring here. One thing is guaranteed: at the end of the day, you’ll sleep well. Location: Quatsino Sound is located on the north end of Vancouver Island. Situated on or near Quatsino Sound are the small communities of Winter Harbour, Quatsino, Coal Harbour and Port Alice. The tiny, off-the-beaten-track hamlet of Quatsino Sound (population: 91) was first built in the 1800’s when the government issued crown grants to attract new settlers. Accessible only by water or floatplane, you can use your own boat to get there or take a convenient water taxi from Coal Harbour. Off Quatsino Sound, in Forward Inlet, is Winter Harbour, the true “end of the road”. This outpost community on the edge of the Pacific Ocean is a 40-minute drive on gravel roads from Holberg. The village got its name in the 1800’s when its sheltered harbour became a haven for sailing ships. Today, the docks are always busy, providing modern fishing boats with the same welcome respite. Now a hub for marine traffic, Coal Harbour was once a thriving whaling station, the last one on the North American coast when it closed in 1967. Then, in the 1970s, it became a mining town again when the Island Copper Mine was in operation until it closed in 1996. Today, the residents rely on fishing, logging and acquaculture. 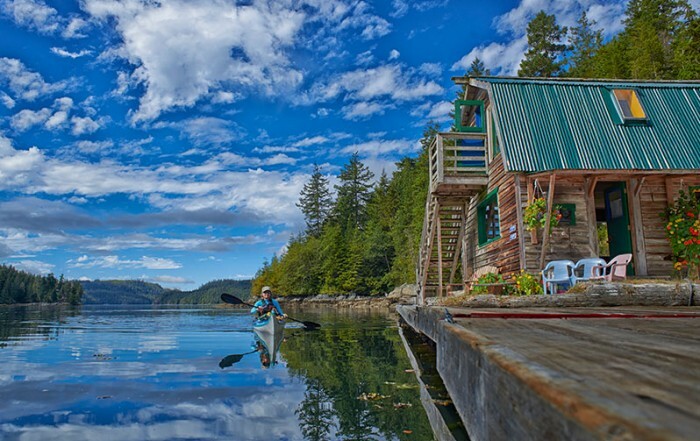 The attractive, well-planned village of Port Alice is located on beautiful Neroutsos Inlet off Quatsino Sound, one of Vancouver Island’s gateways to the wild and wonderful west coast. St. Olaf’s Anglican Church in Quatsino, built in 1896 as the community’s first school house, is one of the oldest buildings still in use on the North Island. On the southeast end of Kains Island, at the entrance to Quatsino Sound, is Quatsino Light, also known as Kains Island Light Station. 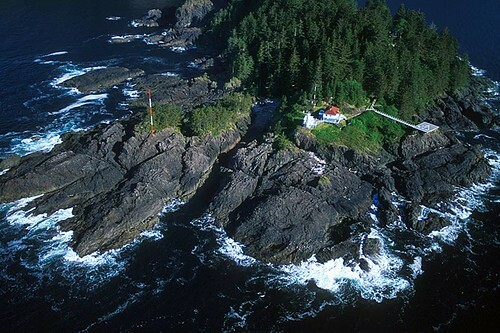 The lighthouse was first established in 1909, with the fog alarm added in 1923. The wind-swept island is completely exposed to the elements, and provides a great rocky environment for sea lions and marine birds. Fishing: There’s a good salmon run on the Marble River to the south of Quatsino sound, which lies 8 miles (13 km) west of Highway 19 on the road to Port Alice. This logging road also provides access to Alice, Victoria, and Kathleen Lakes, which offer good cutthroat trout and dolly varden fishing. 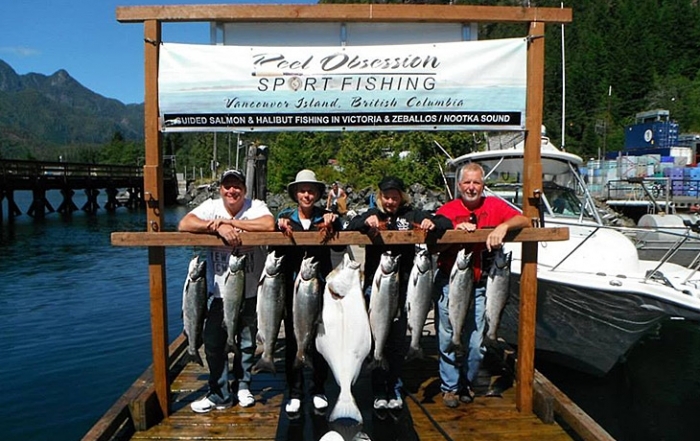 Campsites and a boat launch are located in the mill town of Port Alice, on Neroutsos Inlet, where you’ll find full facilities for exploring the profusion of sheltered inlets in Quatsino Sound. The Spencer Cove Recreation Site is situated in Koprino Harbour on the north shore of Quatsino Sound, and has 11 campsites, a boat launch and a boat dock. Outdoor Adventure: Kayaking, canoeing, fishing and wildlife viewing are popular activities in the sheltered waters of Neroutsos, Holberg and Rupert inlets. 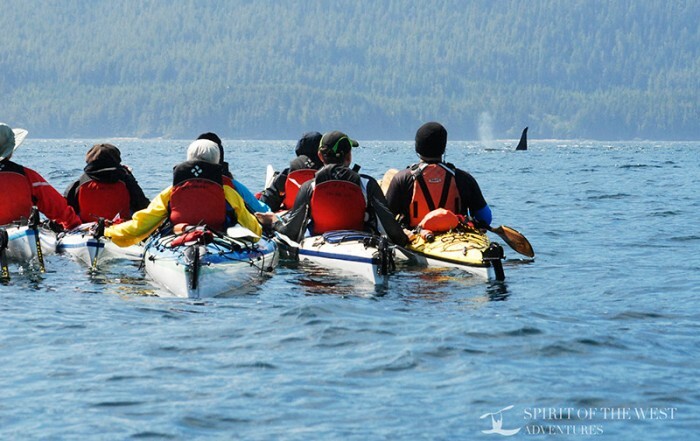 Quatsino Sound is a very popular sea kayaking route, served by a campground in the estuary. Go hiking, beachcombing or berry picking – this may be the perfect place to get away from it all! Quatsino Provincial Park is located on northern Quatsino Sound, and includes the Crown land on the east side of Koprino Harbour and the adjacent peninsula to the east, as far as Shapland Cove. This 654-hectare undeveloped park contains known archaeological sites and protects a mature forest, some small lakes and the sheltered inlet of Koprino Harbour. The Koprino River estuary is noted for its critical fish rearing and waterfowl habitat, and is a popular eagle viewing area. Quatsino Provincial Park can be reached by logging roads from Holberg or by boat from Winter Harbour, Coal Harbour or Port Alice. Lawn Point Provincial Park is located south of Quatsino Sound, which is only accessible by boat from Winter Harbour, Quatsino and Coal Harbour farther to the east. 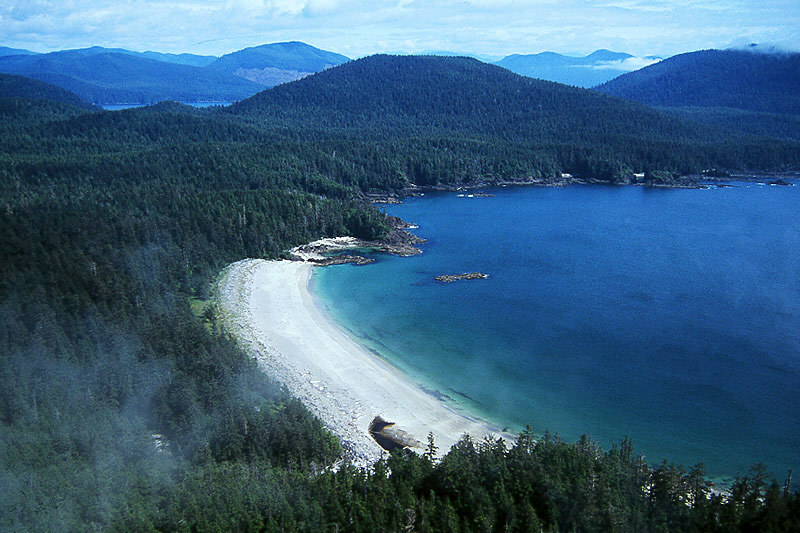 The 560-hectare wilderness park has no facilities, and protects unique geological and botanical features, as well as endangered old-growth forest, rocky shoreline and intertidal beach. Raft Cove Provincial Park is located on the coast about 15 miles (25 km) north of Quatsino Sound, about 26 miles (42 km) west of Port Hardy. The road forks as it nears both parks. Bear to the left to reach Raft Cove. Dense western hemlock and Sitka spruce blanket the shoreline, where you’ll find wilderness sites on nearby beaches. A rough trail leads from the parking lot to the beach. Allow 30-45 minutes to make the journey one way. This is an extremely exposed area. Come prepared to wear waterproof clothing on top of your waterproof clothing in an attempt to stay dry. Raft Cove is located just south of San Josef Bay.